United States of PAIN? 259 million painkiller prescriptions written every year in the U.S.
A recent report from the Centers for Disease Control and Prevention (CDC) reveals that the overprescription of narcotic painkillers is still a major problem in the United States. The report, published on July 1, is based on data collected by retail pharmacies, which fill the majority of US prescriptions. It found that 259 million prescriptions for narcotic painkillers were written in 2012, roughly one for every adult living in the United States. Narcotic painkillers, which are opioid-based painkillers such as morphine, oxycodone and hydrocodone, are intended primarily for the short-term treatment of moderate to severe pain following surgery or serious injury. The drugs are highly addictive and pose a significant risk of fatal overdose. 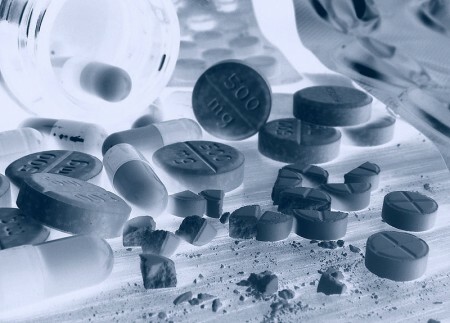 According to the CDC, 41 percent of the 41,000 drug overdose deaths recorded in 2011 involved prescription painkillers. Approximately 46 people die from prescription painkiller overdoses in the United States every day.